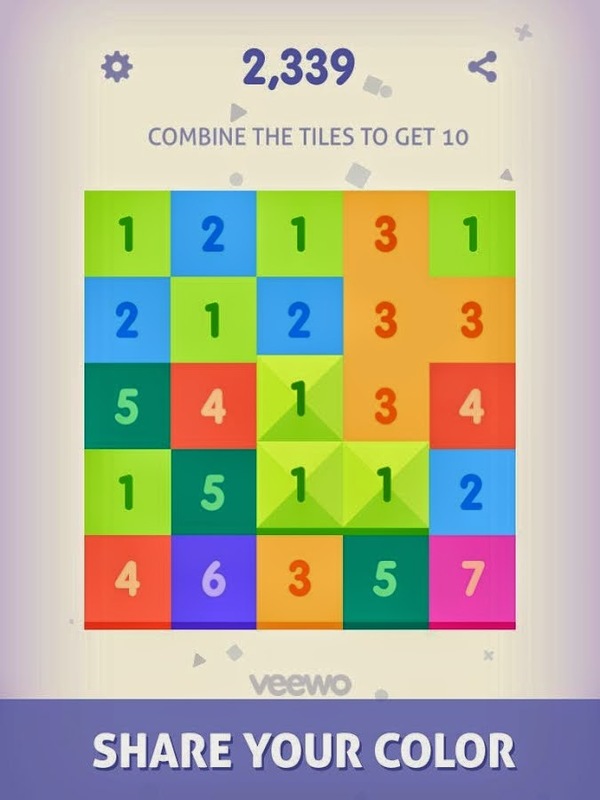 Just Get 10 by Veewo Games - Android App Review. 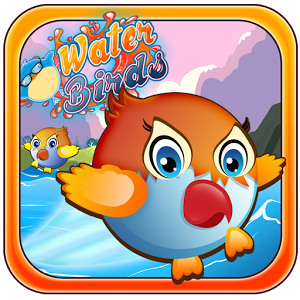 Puzzle games are fun, and in fact are one of the most popular game types for Android Smartphones. They are relatively easy to understand and learning how to play them takes very little time and then the challenge remains, which is a challenge to the mind and not how fast you can move your fingers. 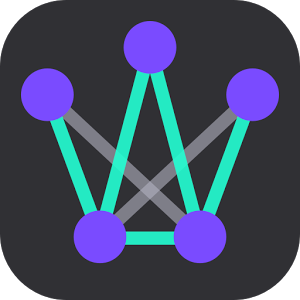 The draw back to a lot of puzzles is the fact that there are SO many of them on Google Play, from shape matching to riddle solving to mathematical problems. In fact, it has become increasingly difficult to find a really original puzzle game, and there's a limit to how much one can play the same type of puzzles over and over. This is why we were thrilled we were able to find quite an original puzzle game, Just Get 10 by Veewo Games. What is Just Get 10? 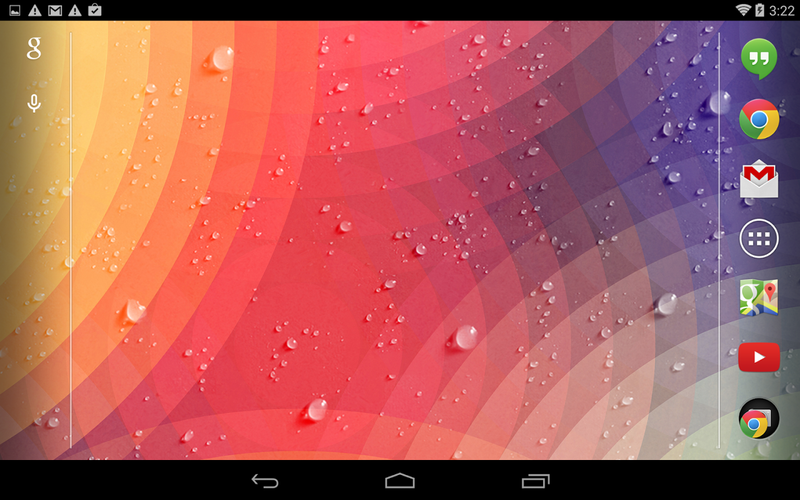 On first glance it bears some resemblance to standard Bubble Shooter games. 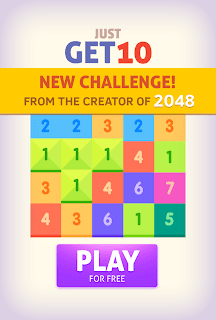 The player gets a board with numbered and colored tiles and then he or she must combine tiles with the same number that are added to create a tile with a bigger number. The player must keep doing it until he or she reaches the value of 10, or higher if her or she can manage this. So, we gave the game to our reviewers and sat back and waited for their reviews. First of all, it must be mentioned that some reviewers tried to get their kids to play the game, with surprising results. Kids loved the colorful game and older kids managed to advance quite nicely, solving some difficult boards faster than the adults. It's always nice to have kids play games that require thinking rather than just a click fest. Adult reviewers were usually impressed with the visuals and the music that come with the game, citing a very pleasant experience playing it and solving the puzzles the game present. Most reported that the game was ideal for playing for a few moments at a time, then making a task switch and returning to the game in an hour to advance some more. Our reviewers felt the game was very good for enhancing basic math skills and for drilling those geometric skills, since the player must combine the right tiles in the right order to create the sums where they are needed or the player will be stuck and unable to advance. The best advice our reviewers gave about playing Just Get 10 was to plan ahead. It is not enough to combine every tile you see in order to great the sums of numbers to advance. 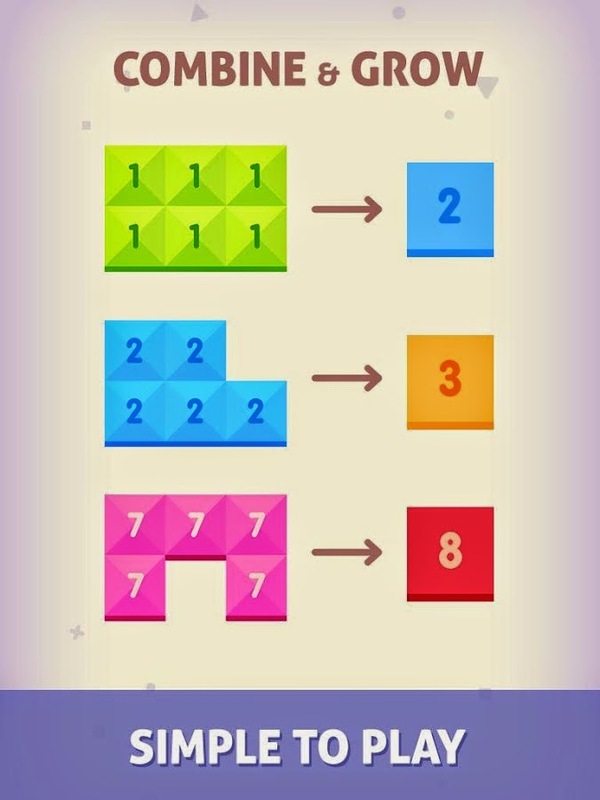 The player must plan ahead a few steps at least and figure out how he or she is going to keep adding numbers to get to 10. Without planning ahead, the player cannot have any chance of success. In conclusion, our reviewers all pointed out the professional looking graphics and music of the game. combined with an innovative design and challenging gameplay, Just Get 10 is not only attractive to adults but also to kids. Score: 4.7. 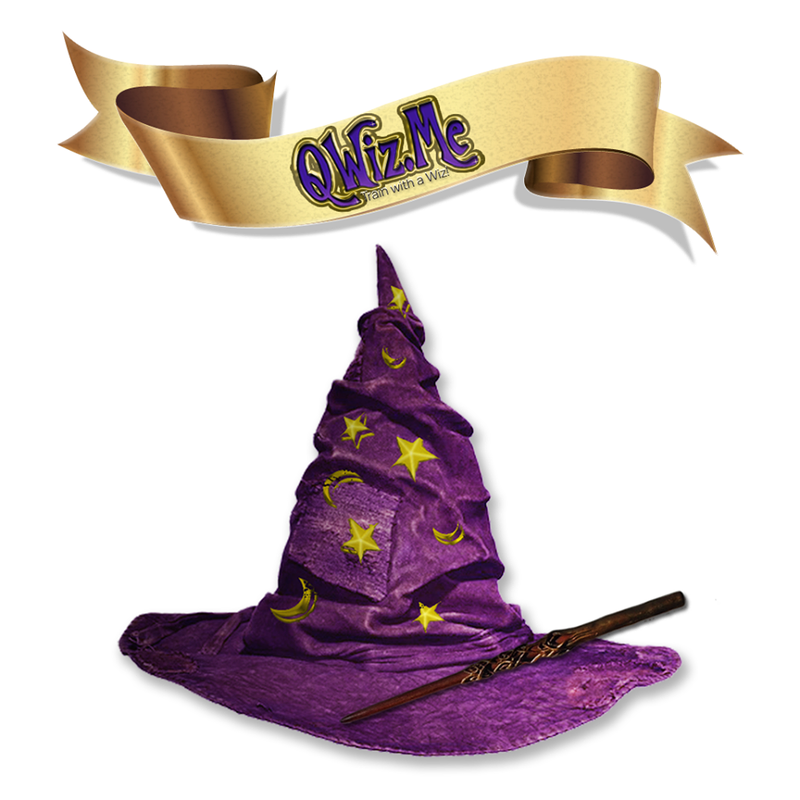 Great puzzle game. Description: A puzzle game where the player must combine numbered tiles to reach the sum of 10, or higher. Good Points: Very professional graphics and music. Innovative game design. Helps develop math and geometric skills. Fun and challenging. Bad Points: None, really. We would have liked to see in future version some other shapes of boards, not only rectangular ones. Perhaps also a game of subtraction and not only addition. Experience: Learning to play the game was easy and straight forward. The first few boards were quite easy and then the game starts to be challenging, but nothing a moment or two of thought cannot solve. Longevity: Adults usually kept this game installed for long, because they loved the challenge and the simple game design. Kids loved to play it, but with longer breaks between game periods.